Zl1, factory installed option, without a1z package. Without zr2 & zr2 bison, Colorado, 20 od. Without zr2 & zr2 bison, Canyon, 20 od. L, LS, lt, without sport package. With CTS V, bumper & mounting. Without CTS V, 4x20mm. 2015-16, Canyon. #3. Bolt. Type 2. 2018-19. Premier. 2016-17. 2016-18. Coupe, 4mm. Hatchback, #2. Without zr1. Coupe, type 1. Splash shields. Fender & shields. Tourx, 4.2x20mm. Bumper support. Convertible, 4mm. Coupe, without v. Tourx, cover & trim. Without platinum. Long box, box side. Panel & componenets. Convertible, 4x20mm. Sportback, 4.2x20mm. Bumper cover & trim, #2. Bumper cover & mounting. Without gs, cover & trim. Bumper cover & trim, 2019. Sedan, 2016-2018, with v. Bumper & mounting, type #1. Sedan, 2015-2018, without v. With gs, structure & mounting. Without adaptive cruise control. Bumper cover & trim, without denali. Bumper cover & trim, without tow hooks. Bumper cover & trim, without body color. Notes: Included With Wheelhouse Liner. 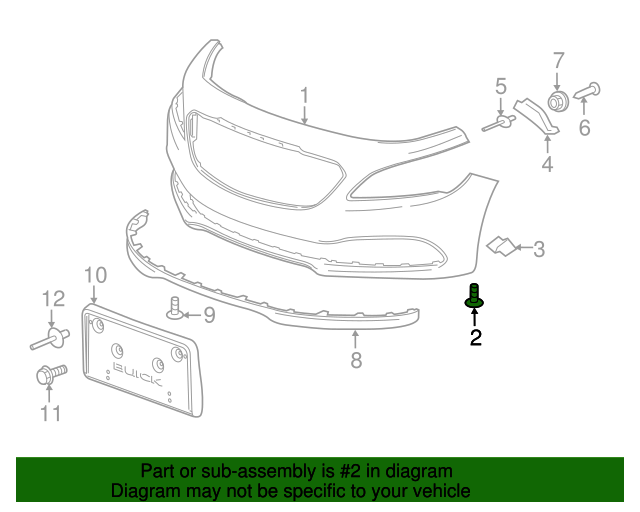 Included With Grille Assembly. Included With Mud Guard. Included With Extension.